Today Volareo, founded by Nick Yap officially partners with Netherlands based TV2Z, founded by Wouter Schreur and PhaniKanth Vooka. TV2Z its mission is to accelerate the rise of OTT platforms by providing customer driven solutions with best in class video management and streaming services. 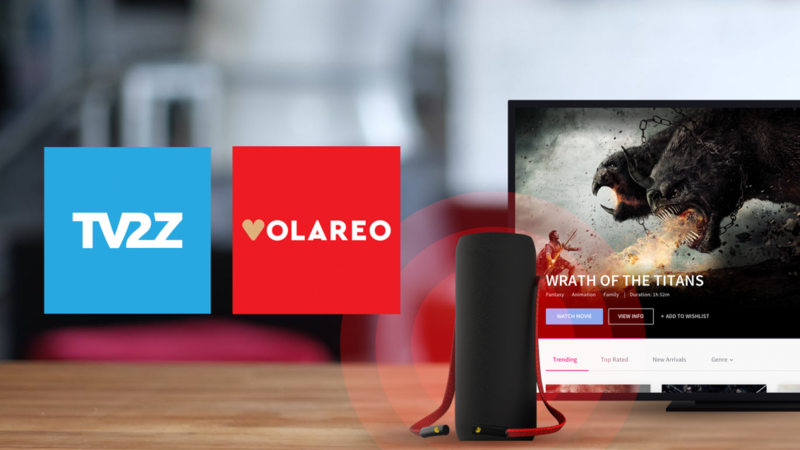 TV2Z’s video-on-demand (OTT VOD) platform and personalized discovery engine combined with Volareo’s voice assistant will enhance access to more of the video content the users love and also new content that they may not have known is available to them. All of that from the TV2Z and Volareo cloud ecosystem which includes speech to text, natural language processing, tone analyzer and personalized engine. “Making content interactive with voice control using data driven, intelligent, and personalized recommendations is the next big thing in the OTT VOD streaming industry. This collaboration will give the consumers constant and easy access to video content simply by using their voice.” says Wouter Schreur. TV2Z and Volareo, will explore mutual interest in blockchain and decentralized apps to build an open and fairest voice assistant and AI powered OTT VOD platform where users be able to tip and support content creators with fair pay per play options – all through crypto payments. By sharing a common vision to empower independents, in content creation and artificial intelligence together, they will work to make Volareo’s smart speaker work as seamlessly as possible for users too. “The combination of Volareo’s and TV2Z’s expertise in voice control and AI presents a radical change industry: If you are watching a movie, and found something interesting, like want to know more about the actor and list the movies he acted, or buy something that actor endorsers. You could do it today with a manual internal search, but now the same is done by your voice assistant device. Using voice assistant like Volareo is much easier and above all is just one example from the range of possibilities the voice assistant plus AI can offer”, says Nick Yap, founder of Volareo. Orders of Volareo speakers can be made via the Indiegogo page here, for a price of $99USD for Early Bird adopters. An early-access link to the order page will be open till Sept. 15th. Volareo is set to deliver in Q1 2019.